Jade's Designer Series of sleek and stylish faucets will add a contemporary look to your tub. This 5-piece faucet can be installed directly on the deck of your bathtub. The waterfall-style spout ensures that water stays in the tub. The hand-held shower adds convenience while in the tub and can also be used when cleaning and maintaining your tub. This UPC approved unit is easy to install and the perfect addition to your bathtub. 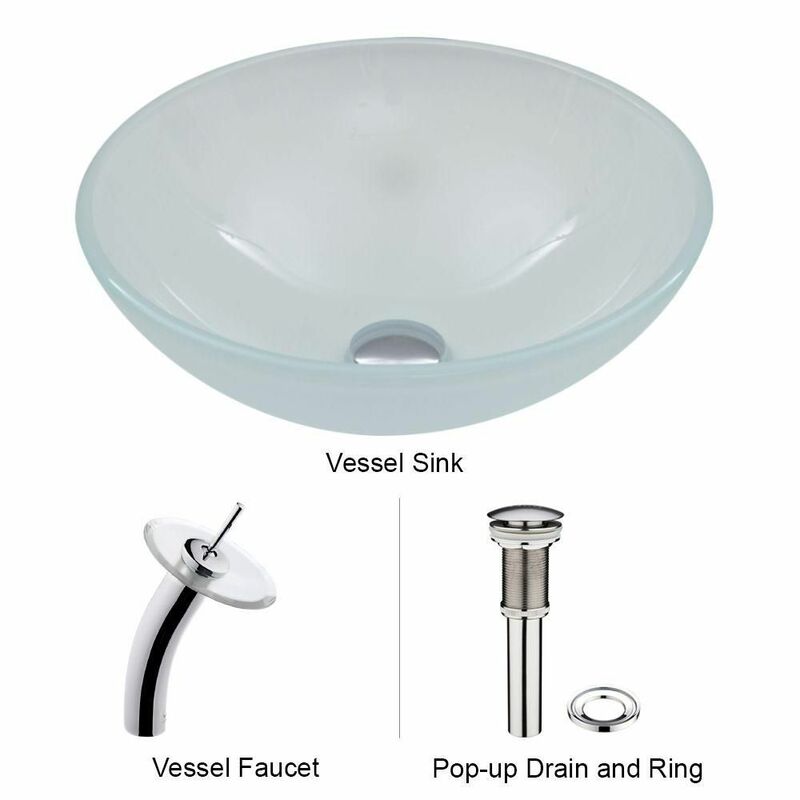 White Frost Glass Vessel Sink and Waterfall Faucet Set in Chrome is rated 4.8 out of 5 by 32. Rated 1 out of 5 by Sheldon from Sink was installed. On first use, various wet areas did not "refrost" once dry. Sink now has ar... Sink was installed. On first use, various wet areas did not "refrost" once dry. Sink now has areas that are frosted and areas that aren't. Spoke w/ Vigo multiple times and finally they said just replace it with a new one. I had to order another of the same because the brand new counter top was already prepped to fit this sink and faucet. I will be able to return the defective one and get a refund, but I'll have to pay the contractor to remove the defective one and put in the new one. Rated 5 out of 5 by AleluyaPBG from It's okay, perfect. It's okay, perfect.